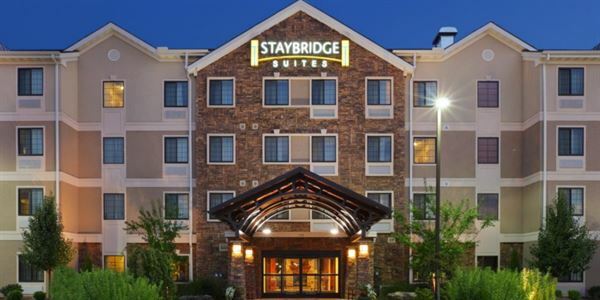 Fresh off a complete renovation, the Staybridge Suites® Fayetteville – University of Arkansas is a contemporary all-suite property that welcomes travelers as they arrive and turns them into family as they stay. Guest amenities are ideal for travelers planning to stay for a night or a few months. Guests begin their day with a complimentary full breakfast and end the evening with a complimentary Social including dinner and drinks (Mon, Tue, Wed). They enjoy the complimentary wireless internet access and the large well-lit work stations, premium channels, 24-hour fitness center, indoor pool, outdoor grill areas, complimentary laundry facilities and convenience store on site. The University room is perfect for small meetings for up to 45 people.